I am always looking for a good hand/body lotion. I recently tried some products from Udderly Smooth®. 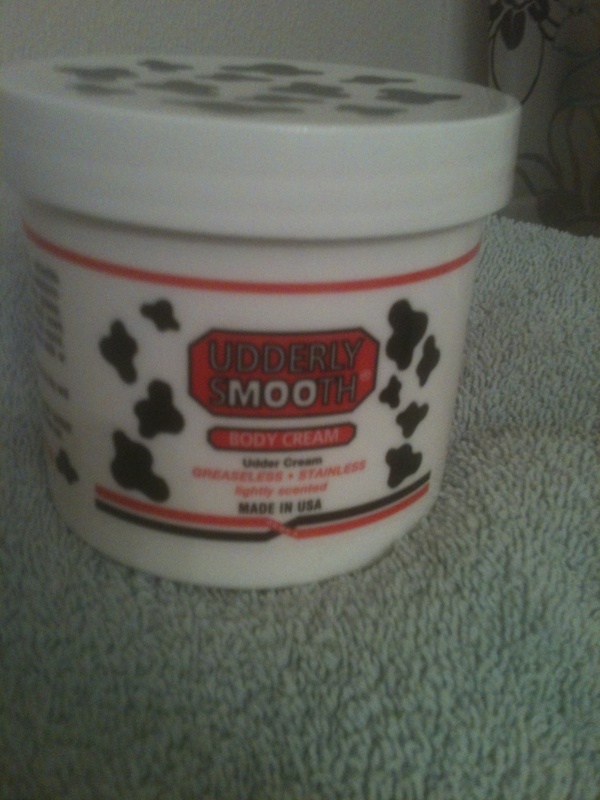 I remember Udderly Smooth® from when I was younger – I grew up on a farm and I think this or something like this was what they used on the cows, but now it is made for dry and chapped skin on anyone. Here is my favorite product from Udderly Smooth®. It is the Body Cream. I love that it is greaseless and stainless. I use it after my shower and it soaks into my skin leaving it feeling soft and clean smelling. It contains rich moisturizing ingredients that perform to soften dry, chapped skin. 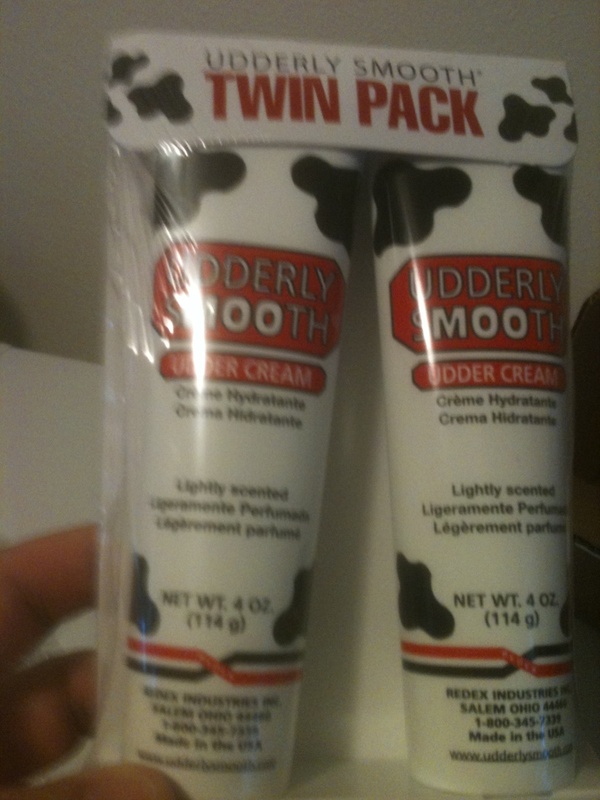 Here is a twin pack of Udderly Smooth® I brought this too work and the girls visit my desk often and use my lotion. I am already on the second tube and I haven’t had it there that long. They like to use this on their hands – and so do I. It soaks in good and really doesn’t have much of a scent. Leaves your hands soft and smooth. I don’t like to wear shoes and wear flip flops or go barefoot most of the time – so my feet show the wear and are often rough and dry. 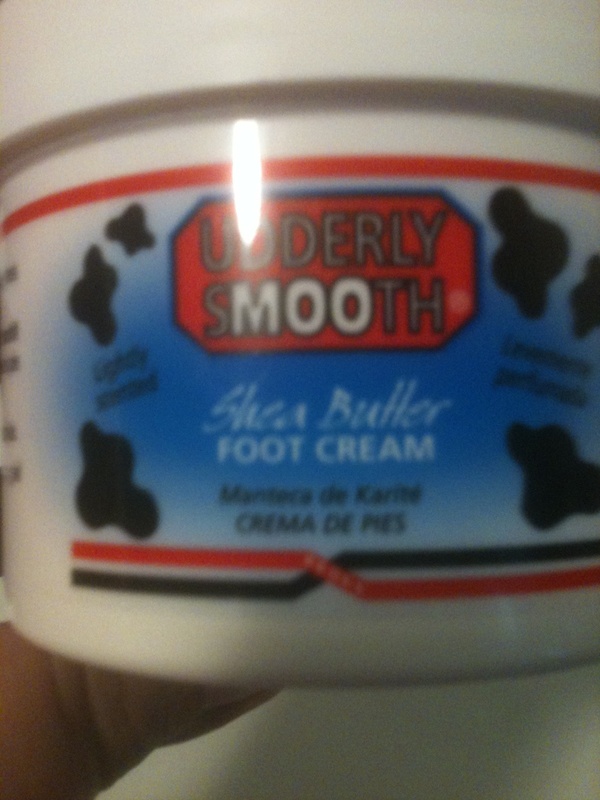 I try to sue this Udderly Smooth® Foot Cream when I get out of the shower every morning and then before I go to bed. This Shea Butter Foot Cream contains shea butter to make a more intensive moisturizer. It really works good. If you would like to purchase Udderly Smooth® you can do so HERE or at main local stores including Shoko, Walgreens and Dollar Tree stores. You can connect with Udderly Smooth® on Facebook. Udderly Smooth® has offered one of my readers the same products I received ~ 12 oz Udderly Smooth Body Cream, 8 oz Udderly Smooth Shea Butter Foot Cream and Twin pack of 4 oz tubes. You must be 18+ and have a US shipping address. Leave a comment on what product you like best from the Udderly Smooth® line. Follow Udderly Smooth® on Facebook. Extra entries for each way you follow Kaisy Daisy’s Corner. Giveaway ends Oct 13, 2013.